Juvenile crime makes headlines. It is the stock-in-trade of politicians and pundits. But young people are also the victims of crime. They too have demands to make of the police. 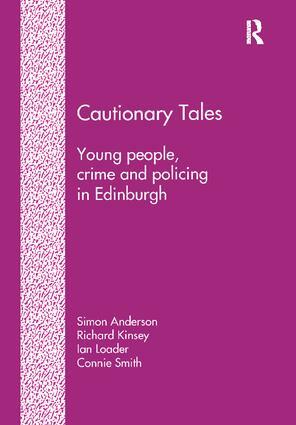 Drawing upon survey and interview research with 11 to 15 year-olds in Edinburgh, this book examines how crime impacts upon young people’s everyday lives. It reveals that young people experience far more serious problems as victims and witnesses of crime, than they cause as offenders. It shows that they report little of their experiences of crime to the police, and are left to find their own ways of managing risk, such as telling cautionary tales about dangerous people and places. The study concludes by examining young people's relations with the police, suggesting they are over-controlled as suspects and under-protected as victims. Contents: Young people and the city; The victimisation of young people; Living with crime; Breaking the law, learning the rules; Young people and the police.